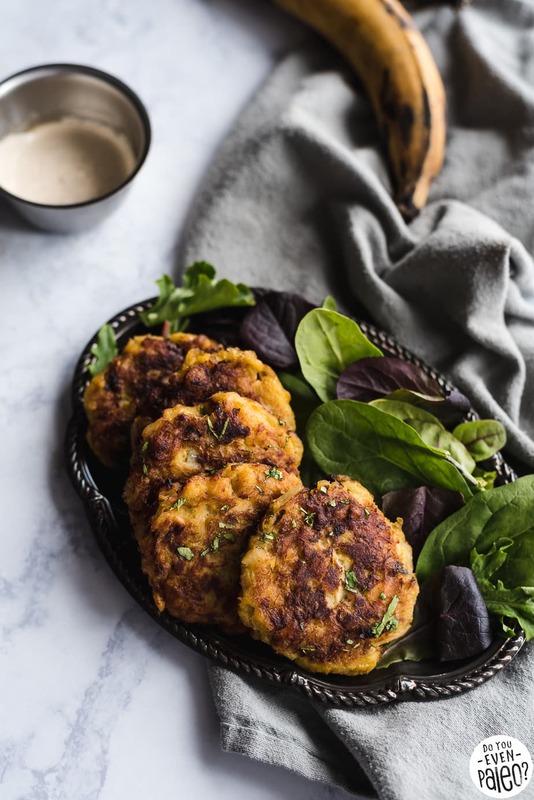 I’ve got a new recipe I know you’re gonna love: Cod & Plantain Fritters! 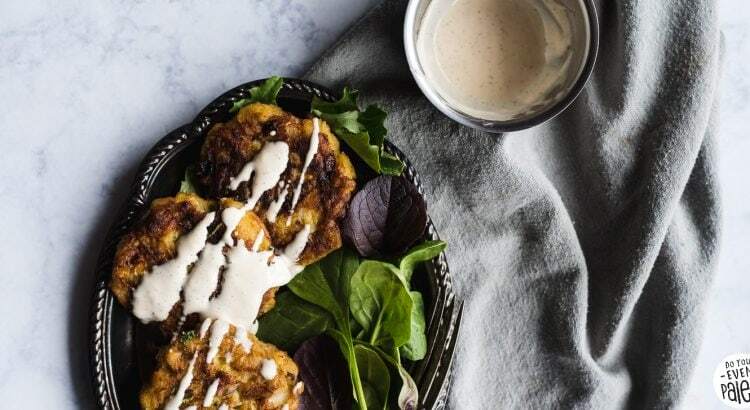 Made with simple ingredients and an easy dipping sauce, these fritters make an excellent lunch or weeknight dinner. Of course, this recipe is paleo, gluten free, and Whole30! Plantain recipes are some of the most popular recipes on my blog. Seriously, this is one of my all time favorite ingredients to cook with. So of course I have a host of paleo plantain recipes to share! I just checked. This is the 18th plantain recipe on DoYouEvenPaleo. Pretty cool, right? Admittedly, I thought I had more than that. Looks like I need to cook up more recipes with this versatile fruit! Well. That’s a little misleading, because I have a bunch of plantain recipes in the pipeline. I just can’t always get my hands on them in Fargo, ND! Anyway, about these cod & plantain fritters. Turns out that a popular traditional pairing for plantains is fish. I’ve been doing a bit of research into the culinary history of plantains, as well as some traditional recipes. The plantain and fish combo definitely popped out to me! I knew I’d have to try it somehow. 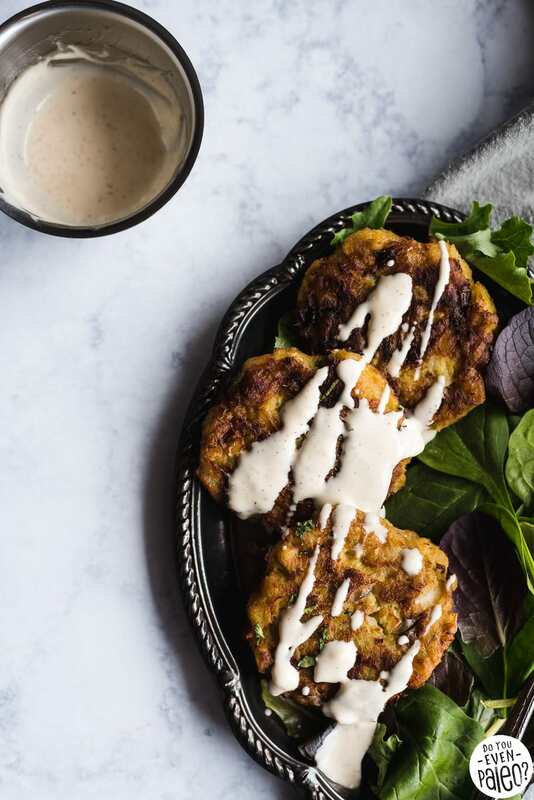 Well, after digging into some of the analytics behind my blog, I found that “plantain fritters” are a pretty common search term around here. I’d be kind of silly to ignore that, since I don’t already have a fritter recipe. 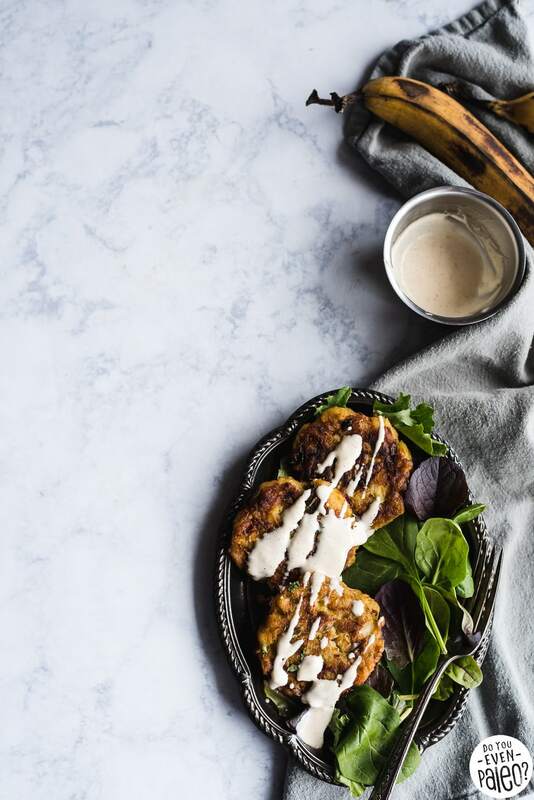 So—duh—plantain and fish fritters it is! Cod was a great choice for this recipe. In my area, it’s the cheapest sustainably-sourced fish I can find. Plus, it’s easy to work with. These little pan-fried fritters have a crispy exterior and are soft inside. 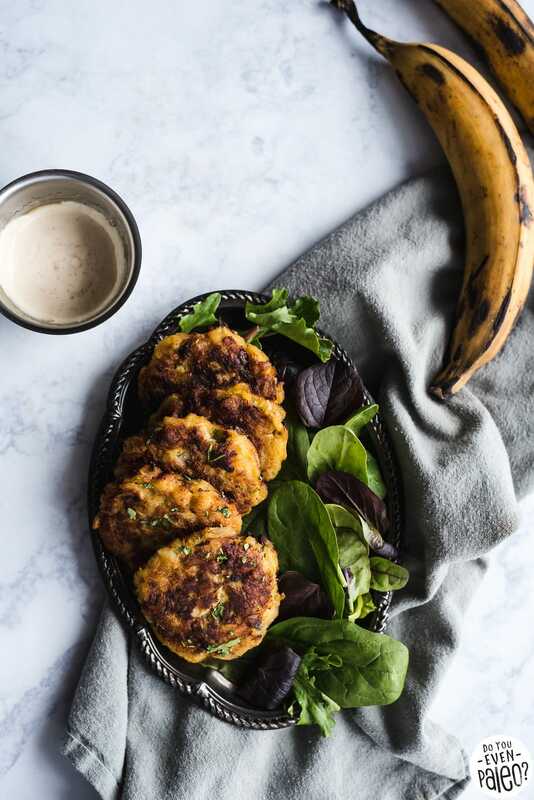 Each bite has the sweet touch of ripe plantains with an unmistakable fish flavor. It’s that solid sweet & savory combo that always makes me spontaneously start dancing in the kitchen while I eat. Oooh, and that dipping sauce? Super simple. But it adds a smidge of creaminess and kick to the overall dish that’s hard to beat! Alternatively, you could add paprika instead of chipotle for the sauce or use something zesty like chimichurri. Heck, even a homemade pico de gallo or mango salsa would make a great companion. 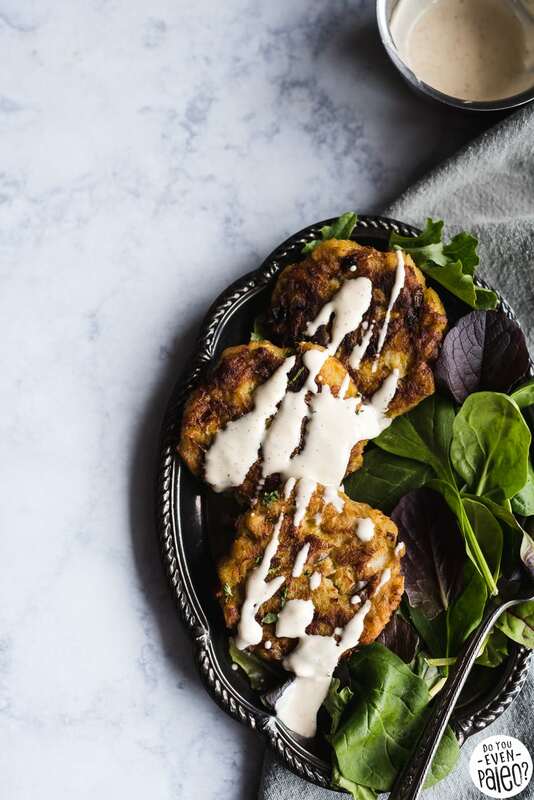 Use whatever you think would elevate these fritters to the next level. How’s that? This fritter recipe may seem a little daunting. Really, it’s quite simple. Poach the fish, boil the plantains, mash it all together, and fry. 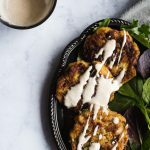 Then you can whip up the exceedingly simple chipotle mayo dipping sauce and go to town on these pan-fried cakes! Don't subscribe All Replies to my comments Notify me of followup comments via e-mail. You can also <a href='https://www.doyouevenpaleo.net/comment-subscriptions/?srp=3844&srk=87505361eee98908ddf6ccb8681f50d6&sra=s&srsrc=f'>subscribe</a> without commenting.